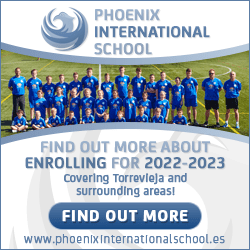 If you are considering setting up home in Gran Canaria, then surely you would want to get the scoop from a professional expat writer who lives and works there, speaks the language, married a local girl and is raising kids on the island too? Whether you’re visiting Gran Canaria courtesy of picking up a last-minute bargain break or planning to relocate there, Going Local in Gran Canaria is the book for you. Covering everything from places to see on your holiday to property advice and career opportunities, Going Local is much more than a travel guide. New residents will be delighted by its accessible, humorous style and the lowdown on what’s hot and what’s not, coming from British journalist and resident since 2004, Matthew Hirtes. “The best thing about living in Gran Canaria is its sheer diversity,” says Matthew, “from the surf of the Atlantic Ocean to the turf of the Tamadaba pine forest. I wanted to correct the lazy stereotype of Gran Canaria as a sunnier Blackpool and show the island in a fairer, truer light.” Describing Arinaga beach as ‘windier than a baked bean eater’s consititution’, Matthew has well and truly removed his rose-coloured sunglasses as he shares the reality of living on a Canary Island. “I’ve lived and breathed the place since we relocated from the UK, becoming an adopted native and investing in bricks and mortar to very much make the island our home,” he concludes. 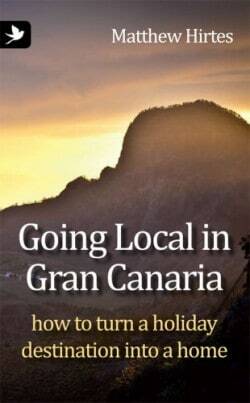 Going Local in Gran Canaria is available at all online bookstores including Amazon and there’s a Kindle version too.